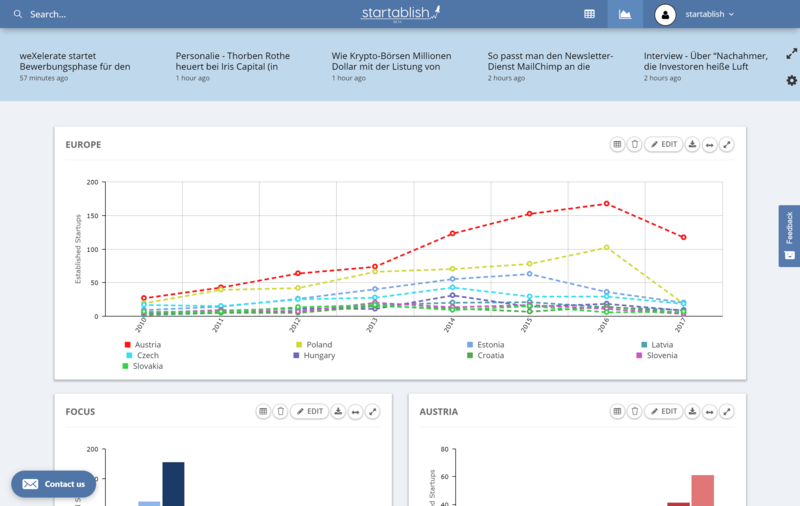 Create a personalized dashboard with live charts to analyse and monitor European startup markets and industries. 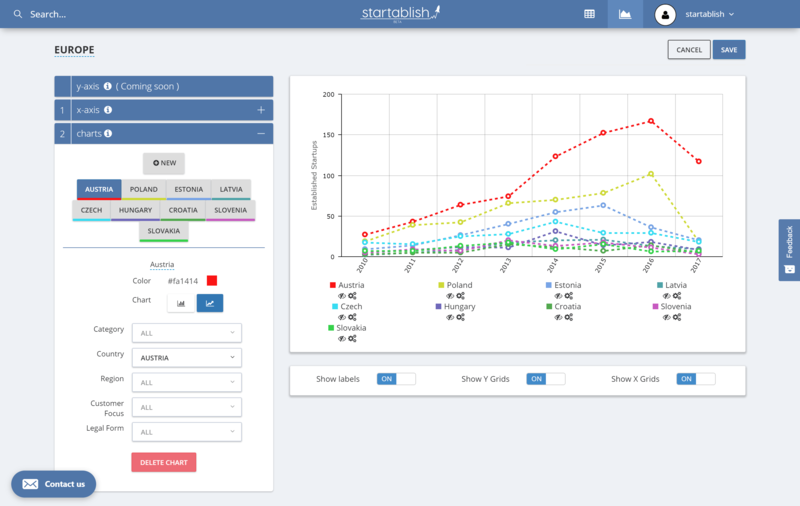 Create and save multi- charts to analyse and compare European startup markets, industries and metrics. 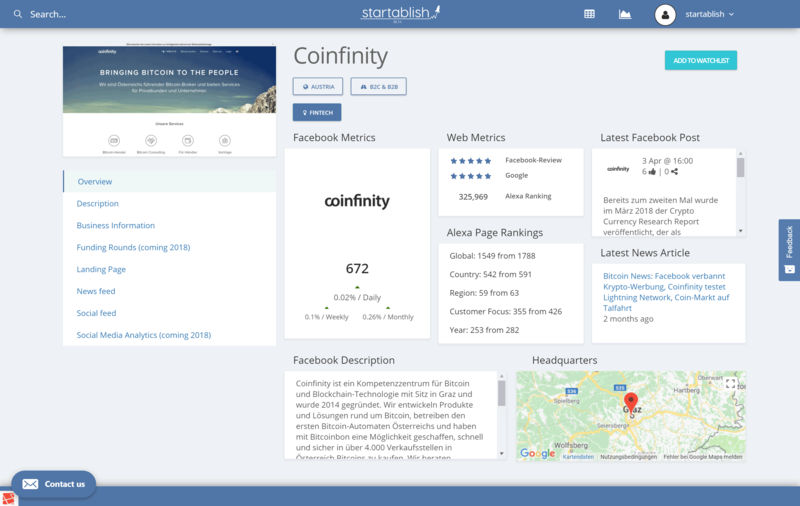 Get an overview of social media indicators, marketing data, balance sheet ratios and company information for each startup with our automated startup profiles. 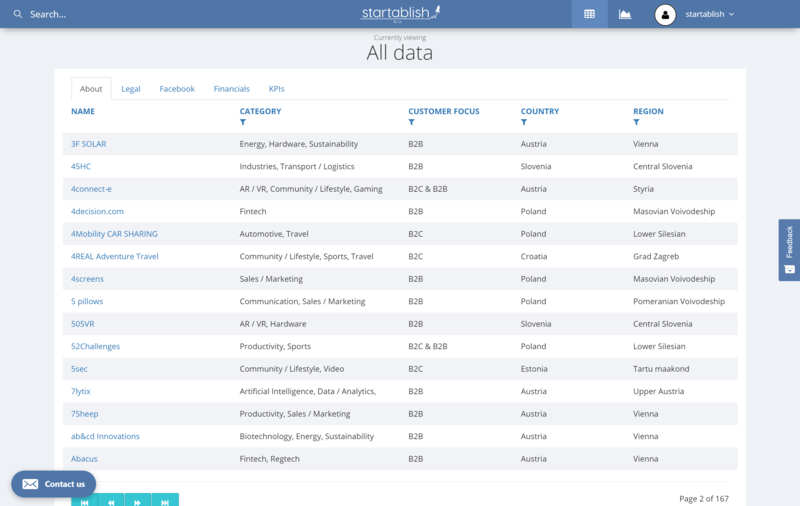 Use our intuitive and simple search to find startups, industries, technologies and business fields that match your interests. To get detailed results, select the table view mode and filter by the top performers in different categories.